How do I manually upgrade the firmware on my baby camera using Windows®? Note: Before carrying out this procedure, please ensure that the computer you are using is connected to the same wireless network as your mydlink Baby Camera. Step 1: In the Control Panel, click Network and Internet. 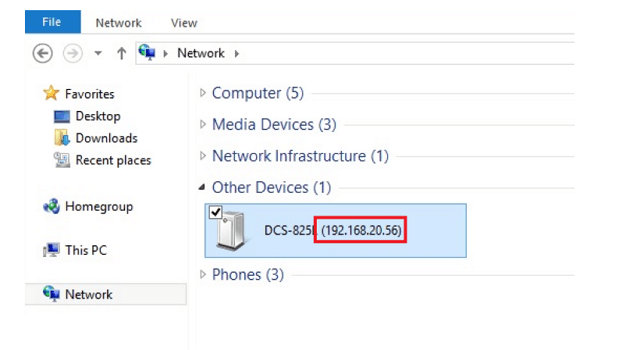 Step 2: Click View network computers and devices. 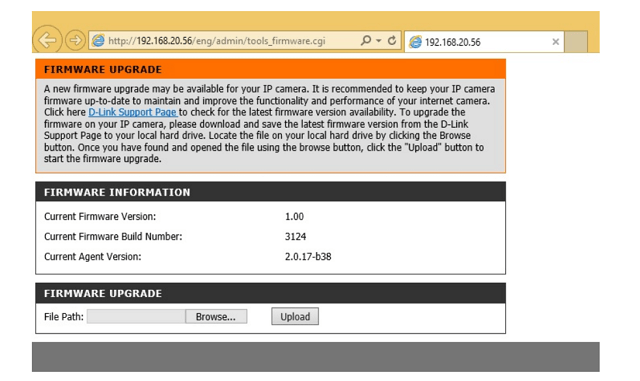 Step 3: Make a note of the camera’s IP address. Step 5: If you do not already have the firmware file to use, follow the instructions on this page to download the latest file from the D-Link Support Page. Then click the Browse… button and locate the file. Once you have located the firmware file, click Upload to commence the upgrade process. 20 lidem se to zdá být užitečné.